June 17, 2016 in Freiburg, Germany. In the winter semester 2015-16 , the first French-German photo competition was held . Students from France and Germany were called upon to submit their photos on the theme “tandem” . A binational jury selected from numerous submissions two winning photos. The 1st prize , 1,000 euros , was won by Anita Straub , a student from the Studierendenwerk Vorderpfalz with her photo “Fork junction”. Hanno Müller, student from Freiburg , won the 2nd prize , 500 euros , for “With hands and feet ” . 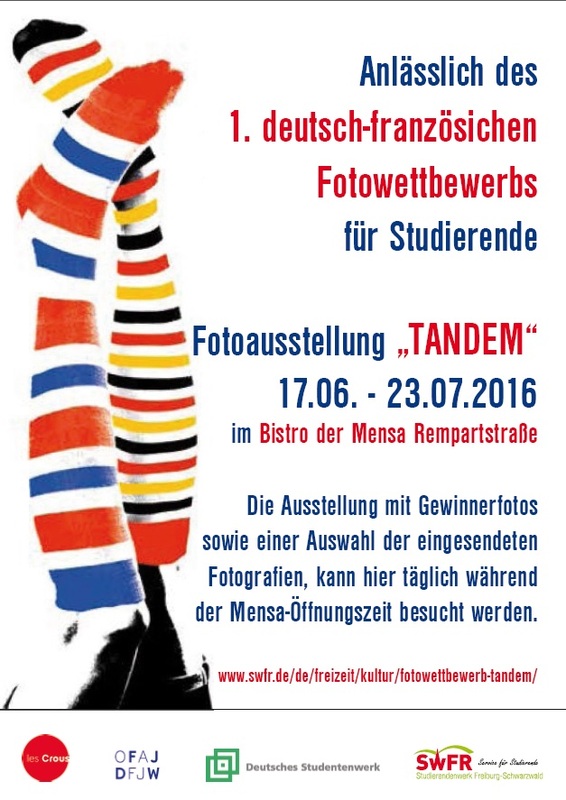 A selection of the submitted photographs will be on display from June 17 at Bistro Mensa Rempartstraße. Here will find on 17 June 2016 at 18.30 the opening ceremony.